Make your trip to the happiest place on Earth a trip to remember when you stay at the Candy Cane Inn. Located only 250 yards from the main gate of the DISNEYLAND® Resort, the premier location of our DISNEYLAND® Resort Good Neighbor Hotel in Anaheim, CA puts you close to all the action! 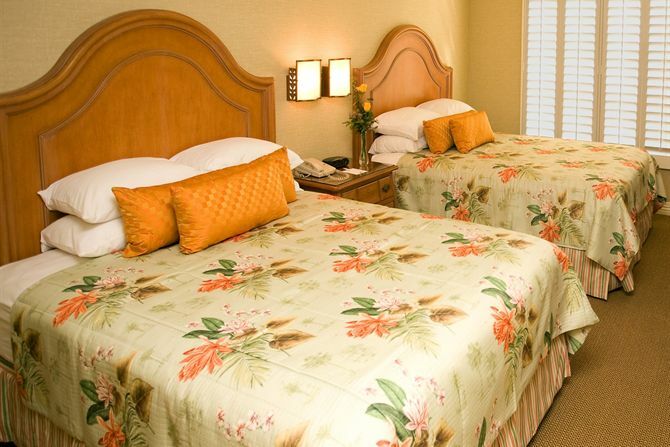 Call us today to plan your trip to DISNEYLAND® Resort and to learn about our great amenities. The DISNEYLAND® Resort Parks is home to two fantastic theme parks, DISNEYLAND® Park and DISNEY CALIFORNIA ADVENTURE® Park. 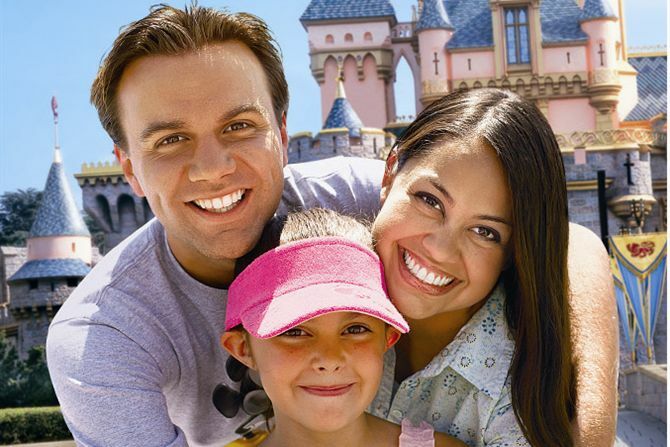 The DISNEYLAND® Park is the original park designed and built under the direct supervision of Walt Disney and is where generations of families have created lasting memories of joy. DISNEY CALIFORNIA ADVENTURE® Park is the newest addition and celebrates the unique history of California with breathtaking rides, thrilling parades and explosive fireworks. While you're visiting the DISNEYLAND® Resort, be sure to see World of Color. Breathtaking artistry, beloved Disney Characters and stunning special effects come together to create World of Color, a magnificent new nighttime water spectacular! Water, light and fire intertwine in a kaleidoscope of fantasy and imagination. As the spectacle unfolds, you are drawn deeper into a dazzling new dimension of Disney storytelling magic—until you feel like you're actually a part of the story! Welcome to World of Color— springing to life exclusively in DISNEY CALIFORNIA ADVENTURE® Park! A DISNEYLAND® Resort vacation doesn't have to break the bank–especially when you stay at the comfortable and affordable Candy Cane Inn. With gracious rooms, lush landscaping and many complimentary hotel amenities, you'll find it easy to unwind from a busy day at the parks. Don't forget to ask about our DISNEYLAND® Resort tickets for sale at our hotel's front desk or visit our DISNEYLAND® Resort Parks Good Neighbor Hotel page for more information on ticket prices. Call us at (714) 774-5284 to book your stay at our DISNEYLAND® Resort Good Neighbor Hotel and to learn more about Anaheim area attractions.